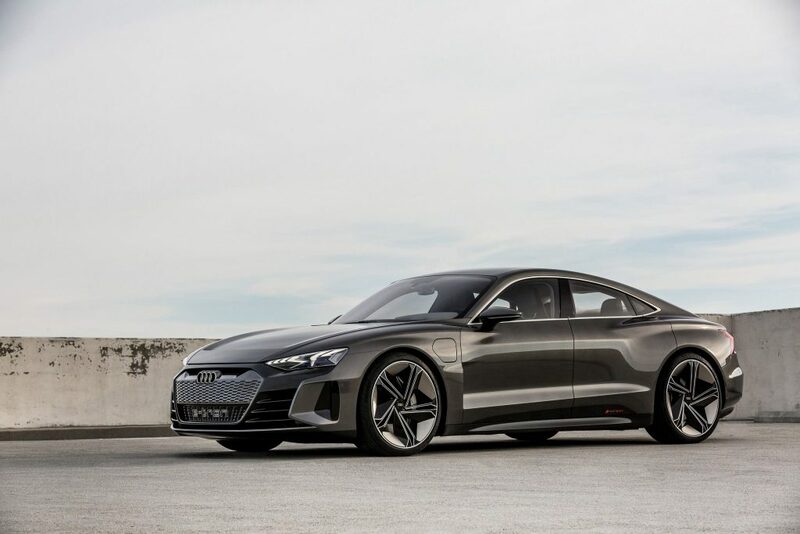 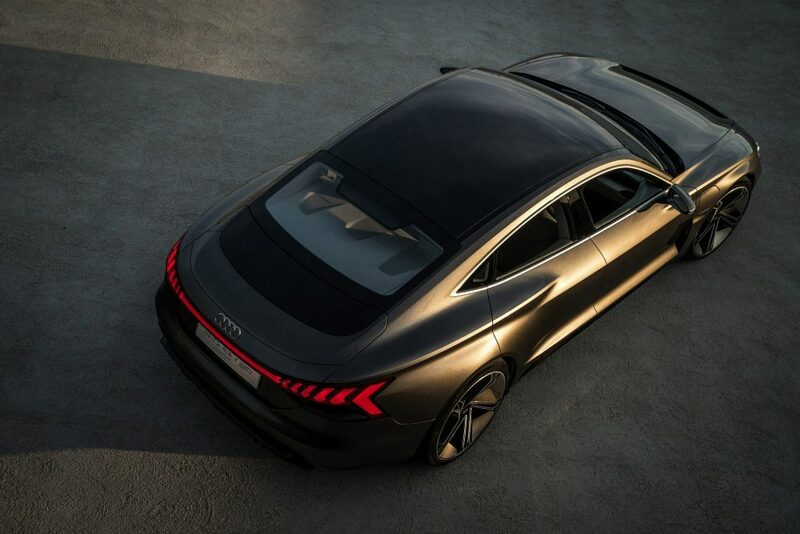 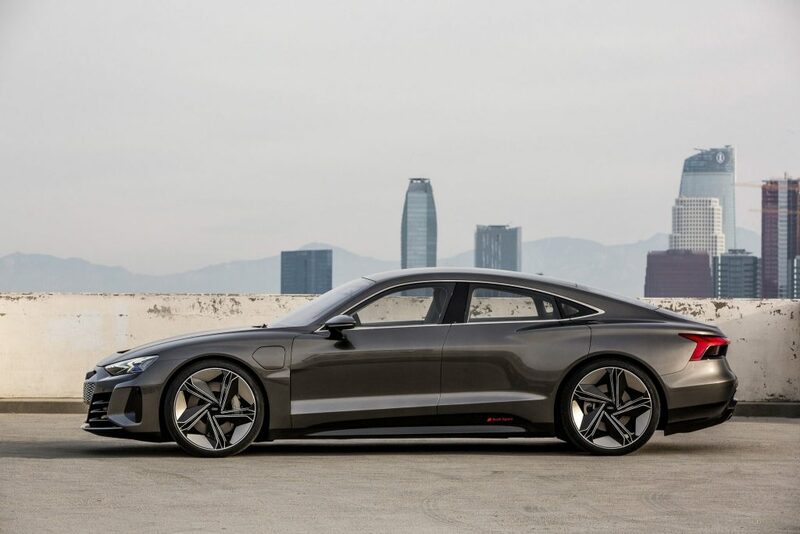 With two luggage compartments, the Audi e-tron GT concept offers a great many options for a Gran Turismo. 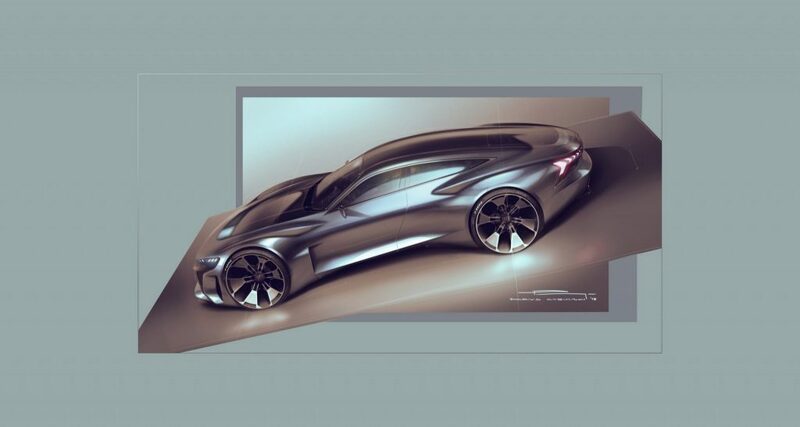 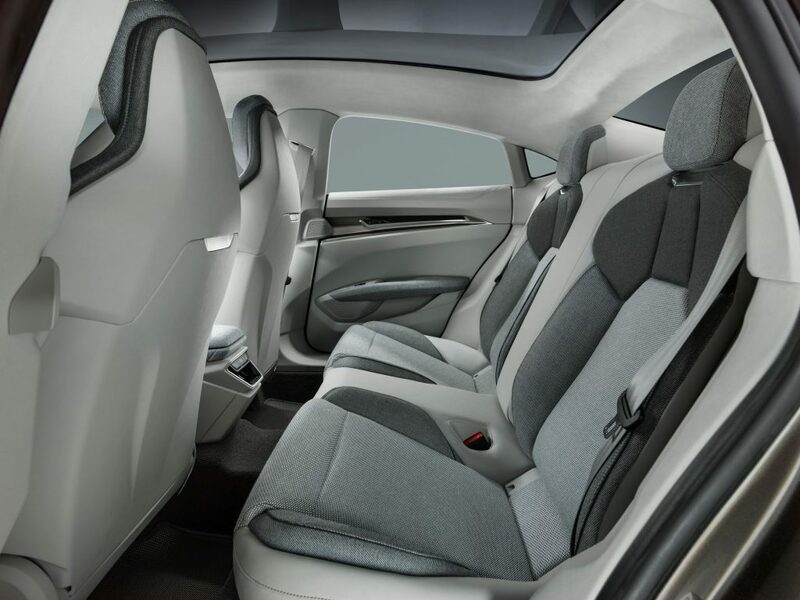 Here it makes full use of its concept advantage as an electric automobile with compact drive units. 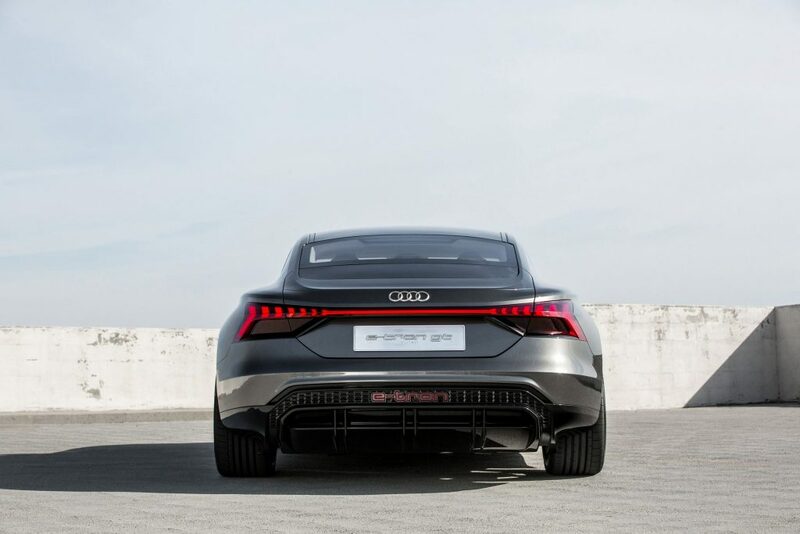 The rear with its large tailgate offers up to 450 liters (15.9 cu ft) of luggage capacity. 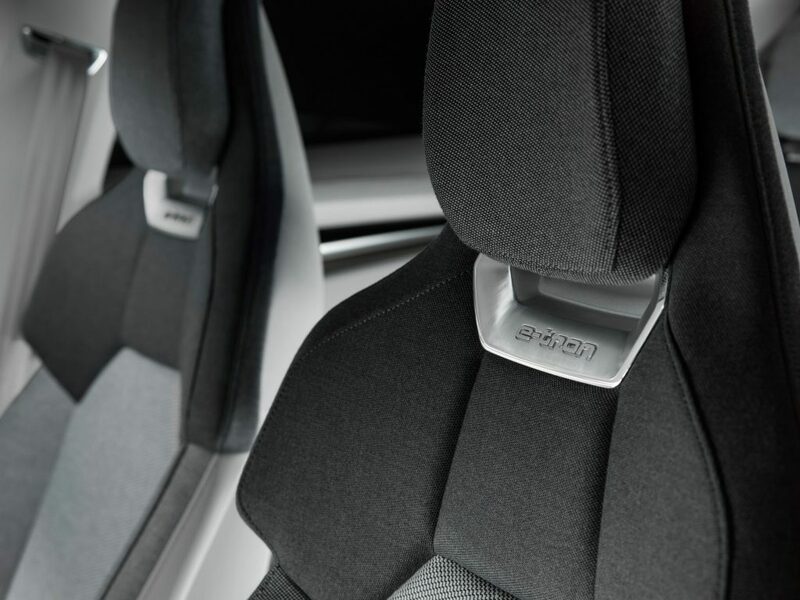 Under the hood, there are an extra 100 liters (3.5 cu ft) of capacity. 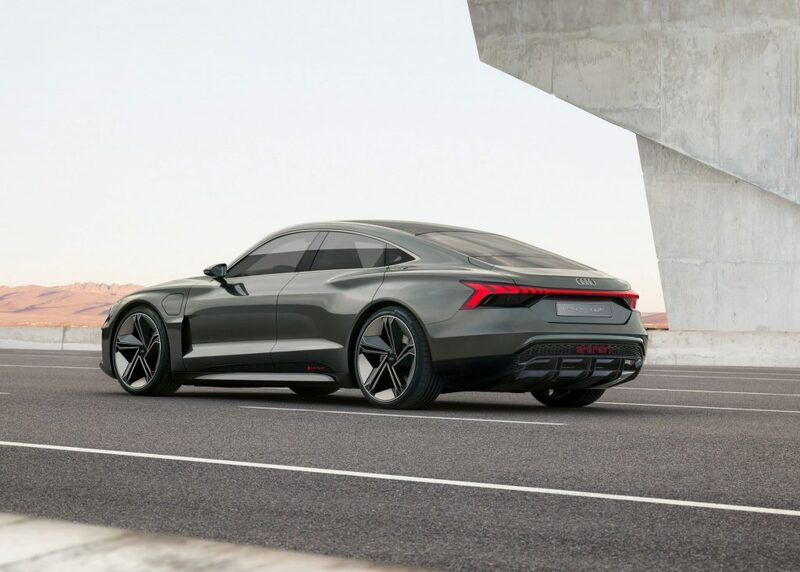 In future, the vehicle should accelerate from 0 to 100 km/h in around 3.5 seconds before going on to 200 km/h in just over 12 seconds. 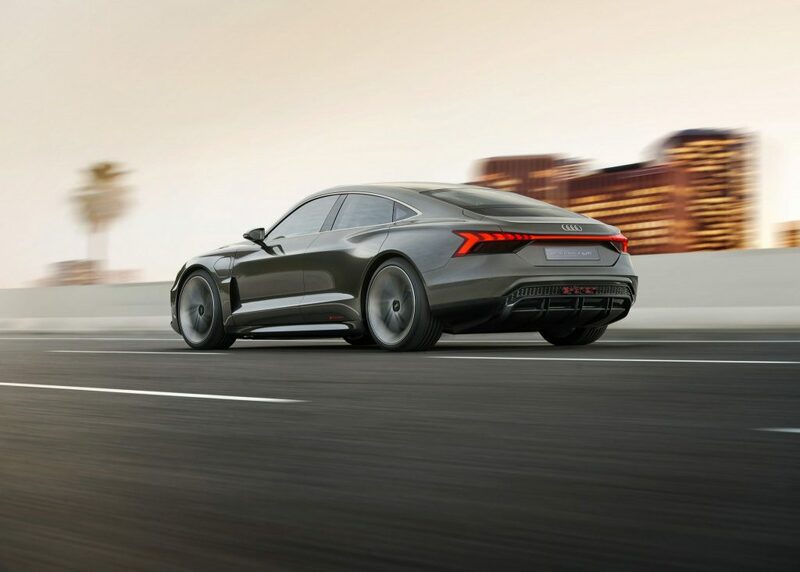 The top speed is regulated at 240 km/h to maximize the range. 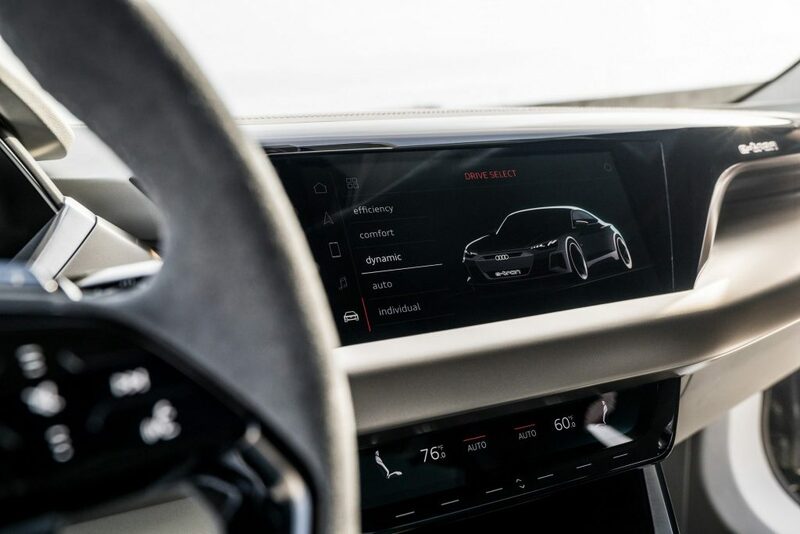 One feature that not all the competition can match is the option of fully utilizing the drive’s acceleration potential several times in succession. 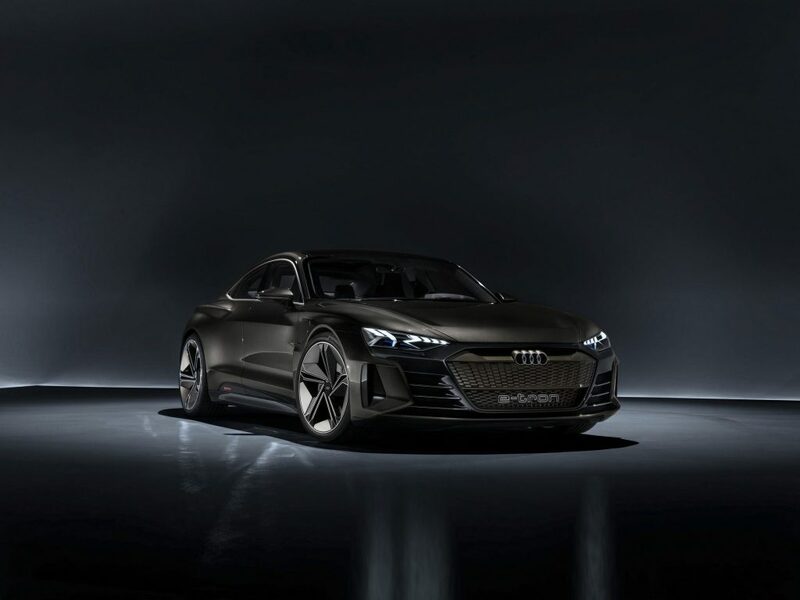 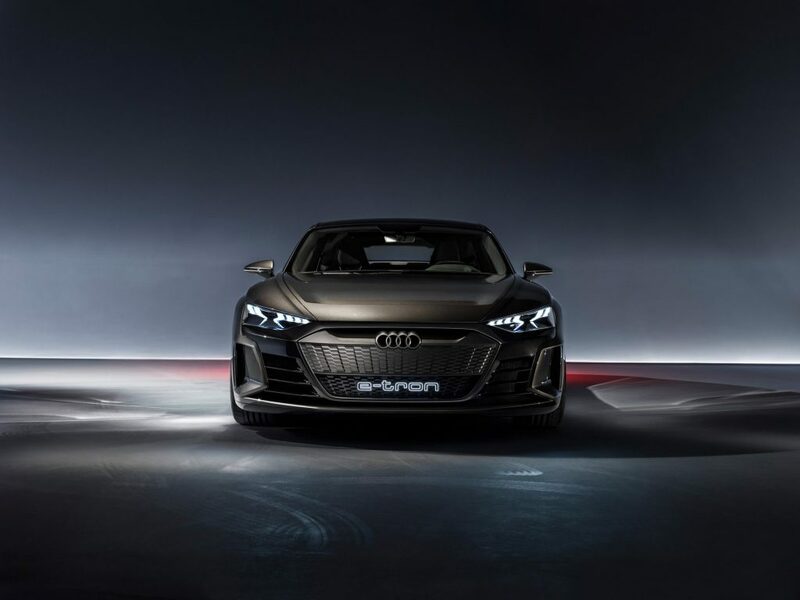 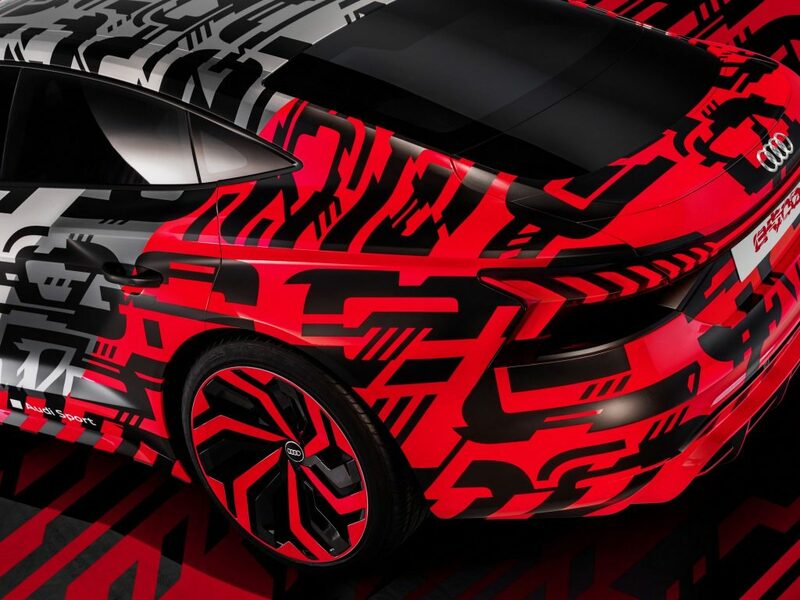 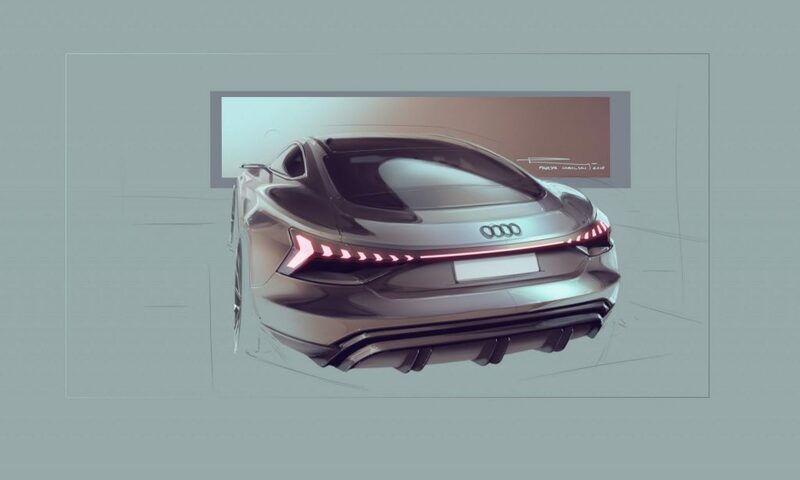 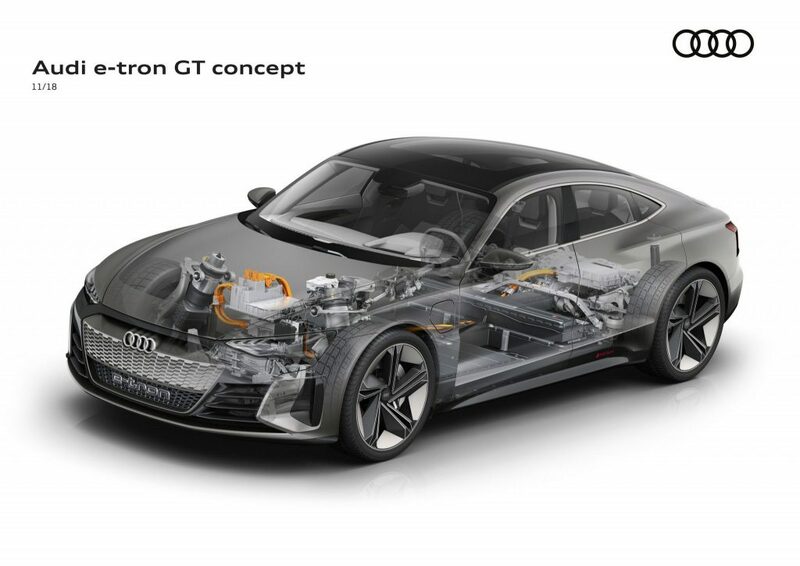 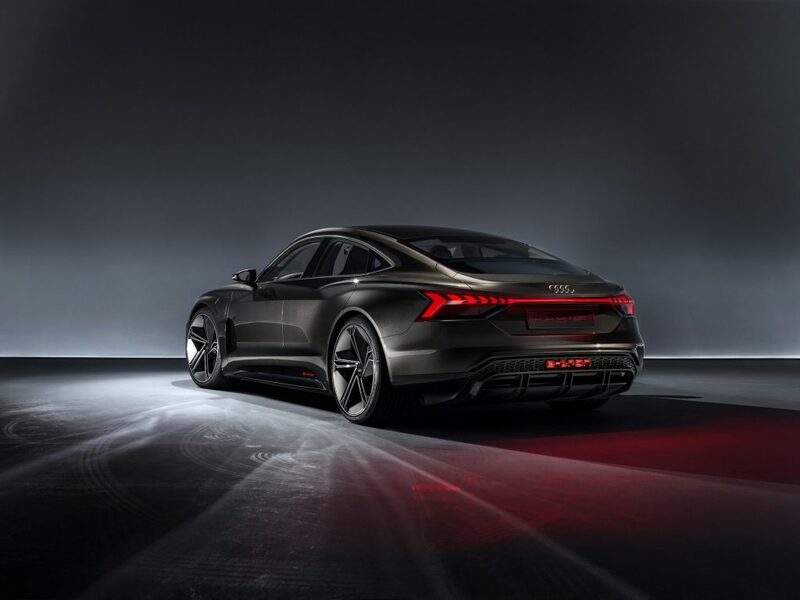 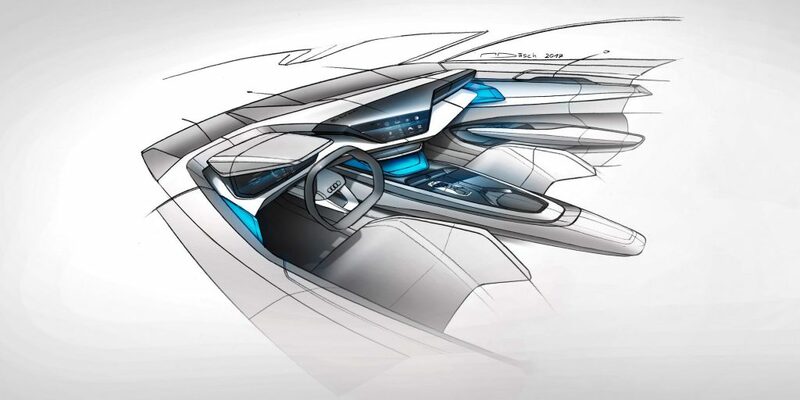 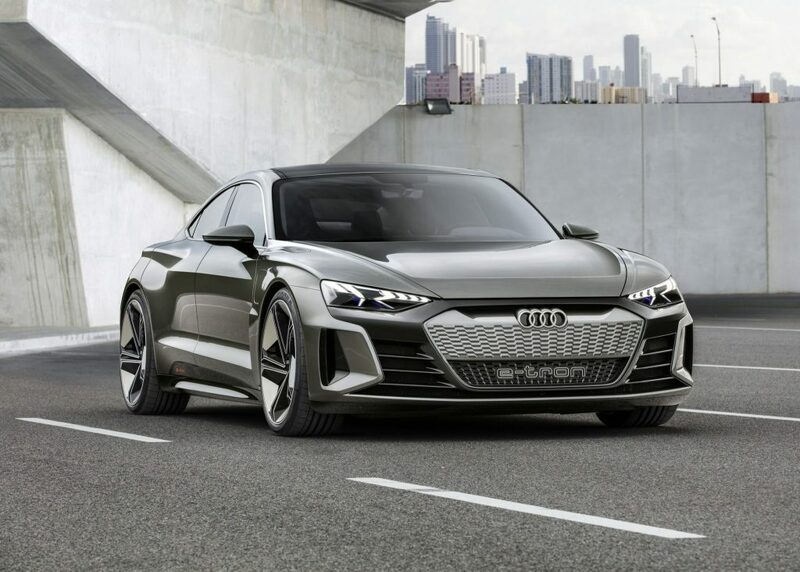 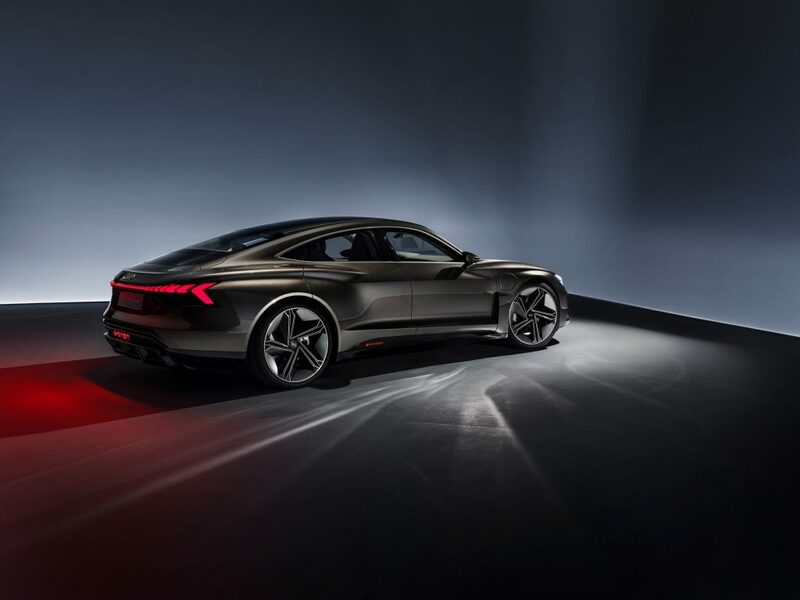 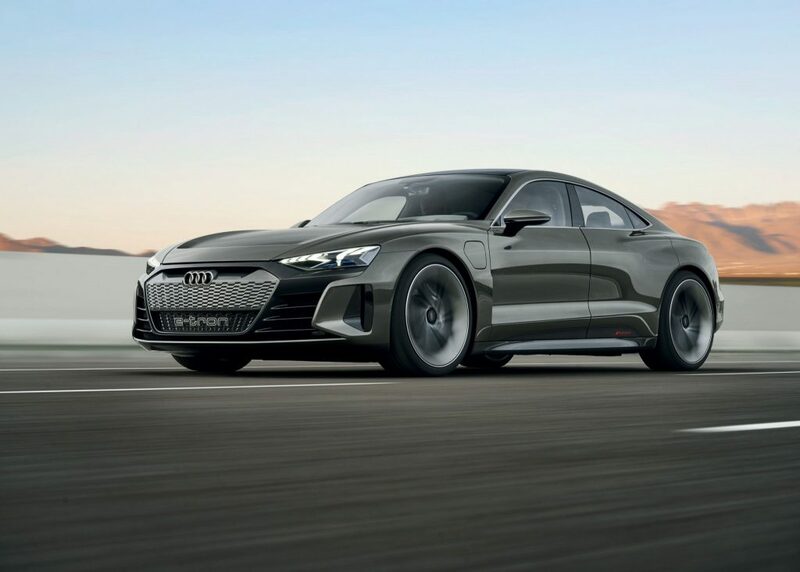 While elsewhere the drive is switched to overdrive for thermal considerations, the Audi e-tron GT concept can provide the driver with the full potential of both motors and the battery thanks to its sophisticated cooling strategy. 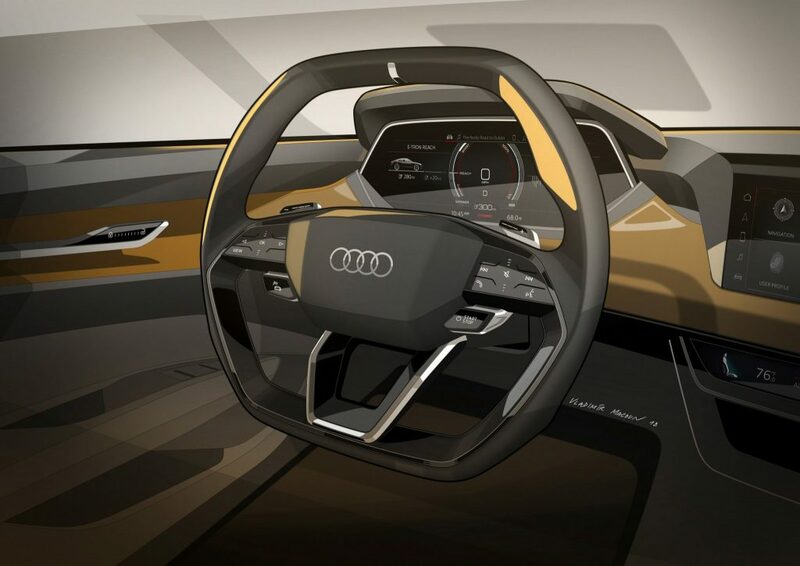 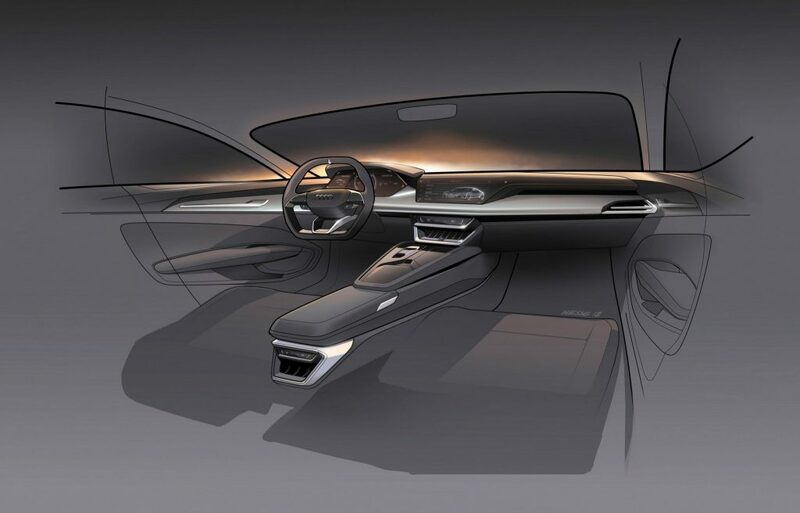 The range of the concept car will be over 400 kilometers, determined according to the new WLTP standard. 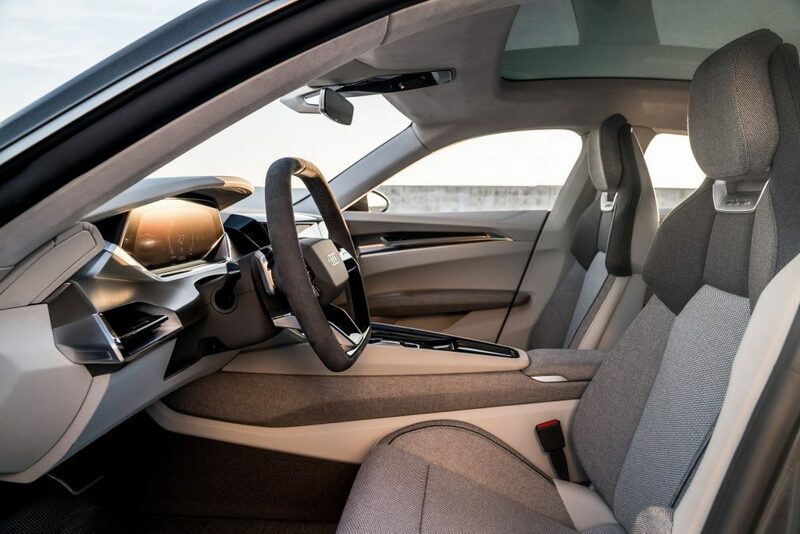 The required drive energy comes from a lithium-ion battery with an energy content of more than 90 kWh, which takes up the entire underfloor area between the front and rear axle with its flat design. 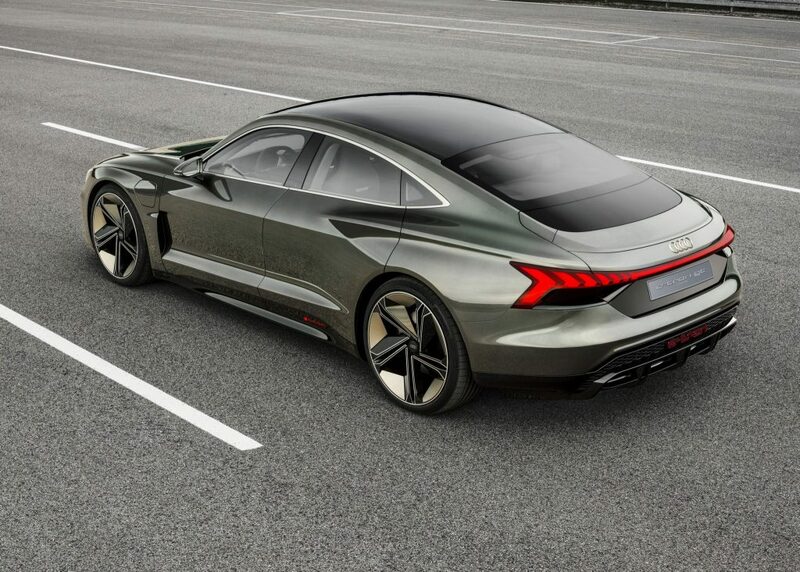 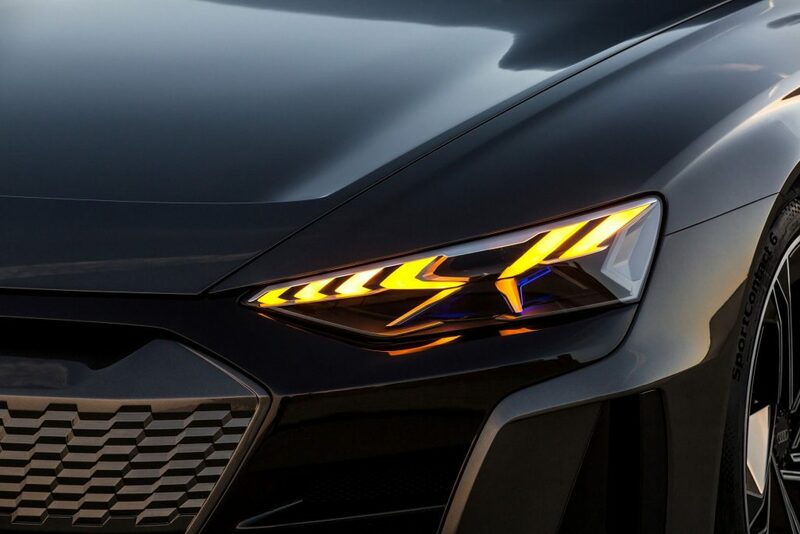 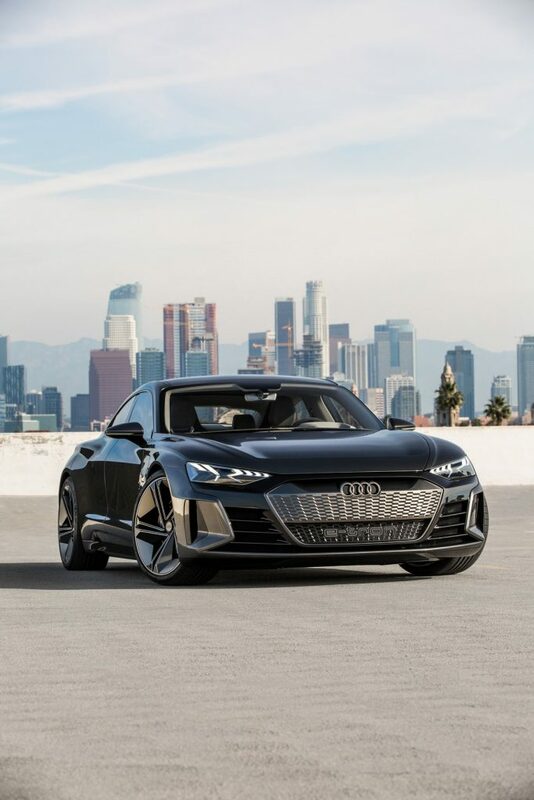 The decisive advantage of this design is the car’s extremely low center of gravity – comparable with that of the Audi R8 – which in turn decisively benefits dynamic handling. 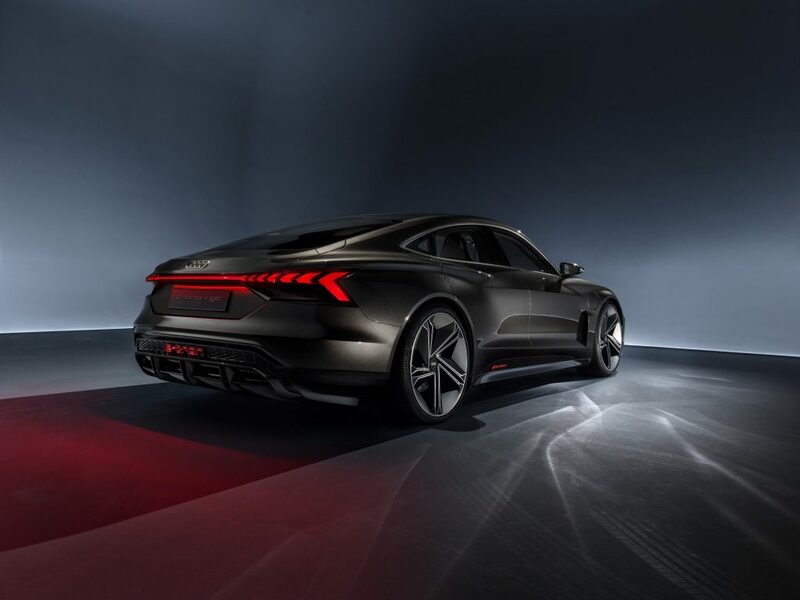 All-wheel steering translates this into a perfect synthesis of sports car-like agility and precision, augmented by superb directional stability. 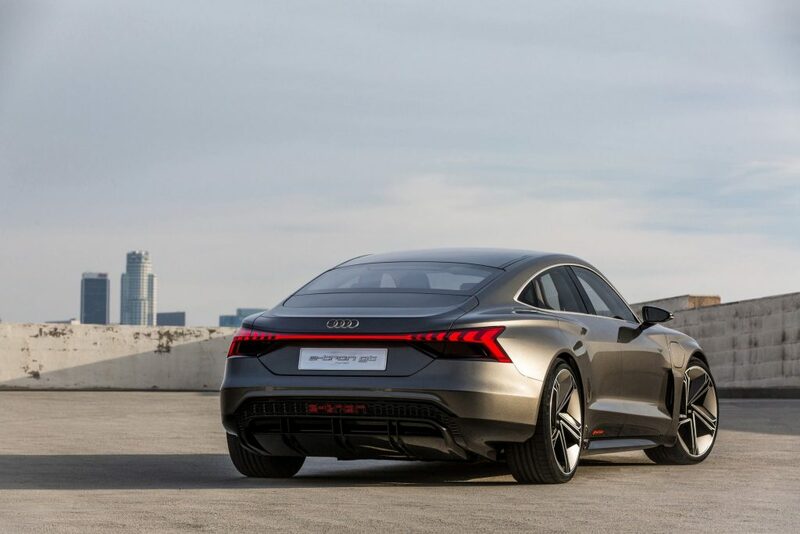 Wired charging is much faster as the four-door coupé is fitted with an 800-volt system. 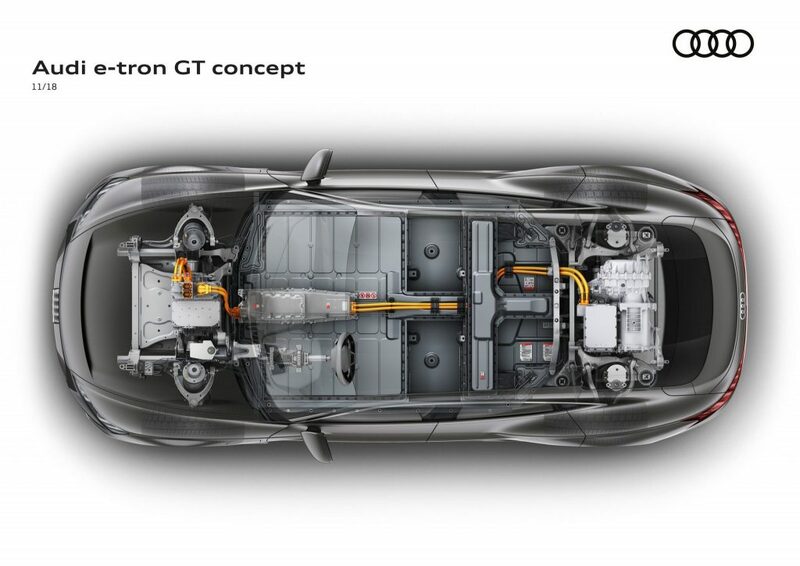 This substantially reduces charging times compared with conventional systems that are currently in use. 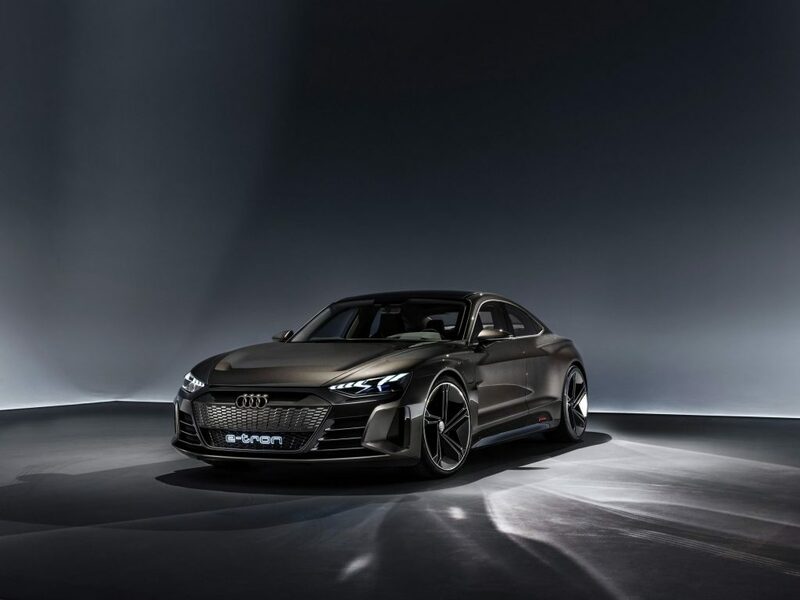 Thus it takes around 20 minutes to recharge the battery to 80 percent of its capacity, once again providing a range of more than 320 kilometers (WLTP). 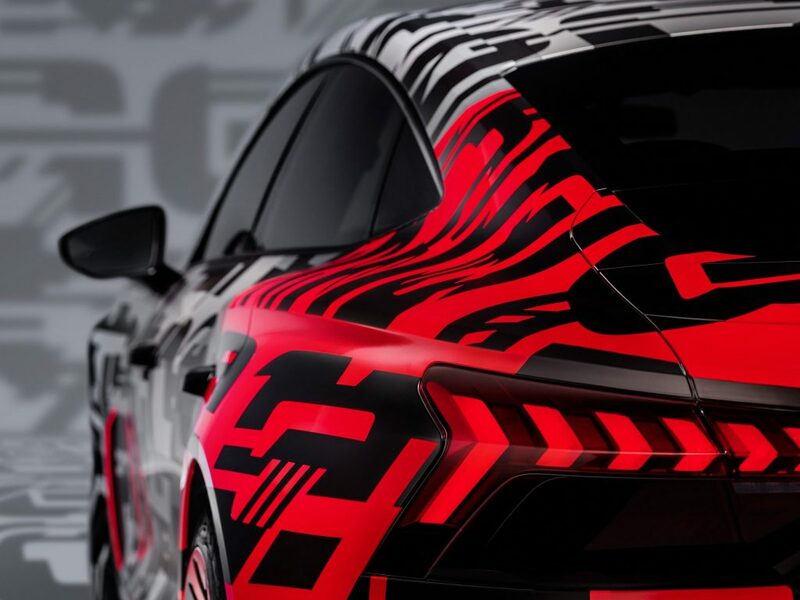 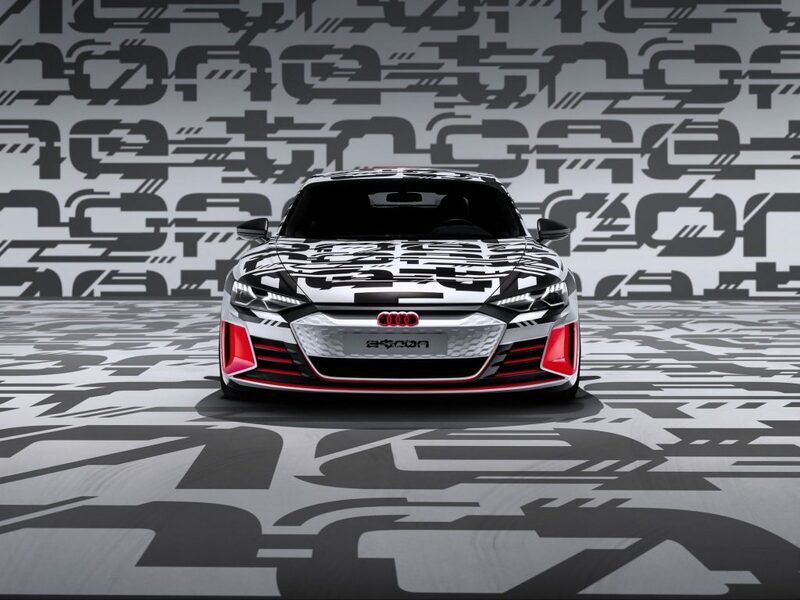 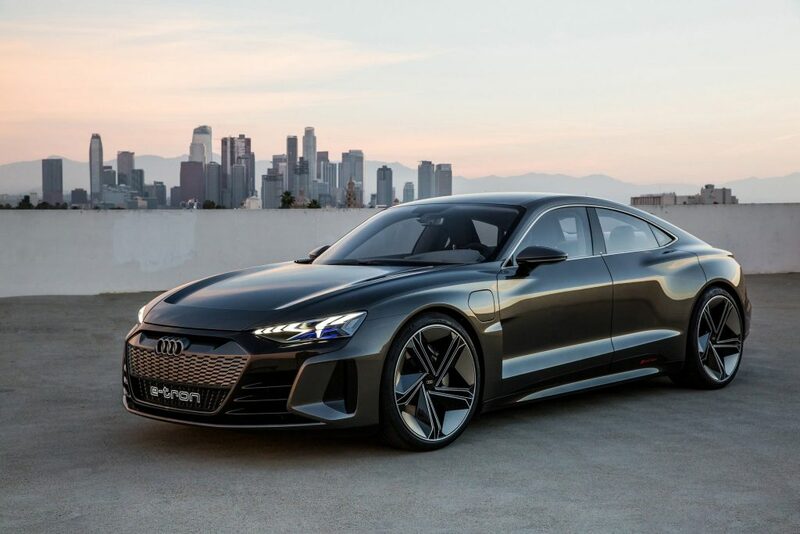 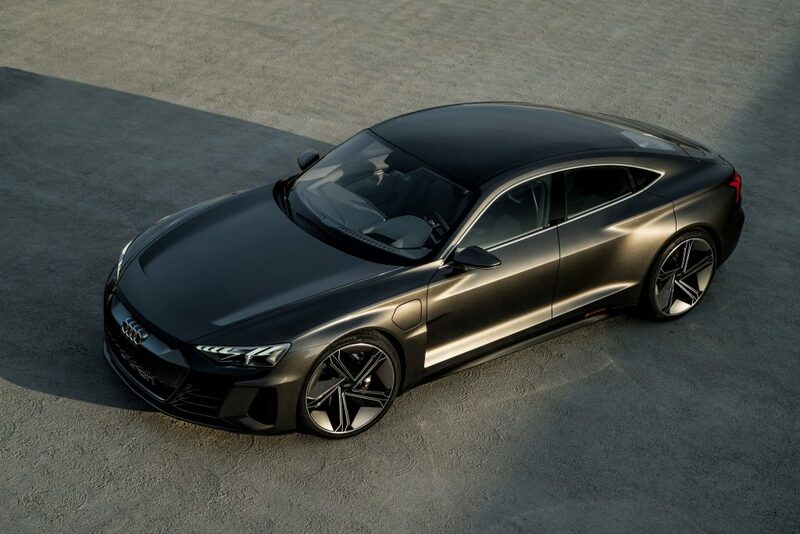 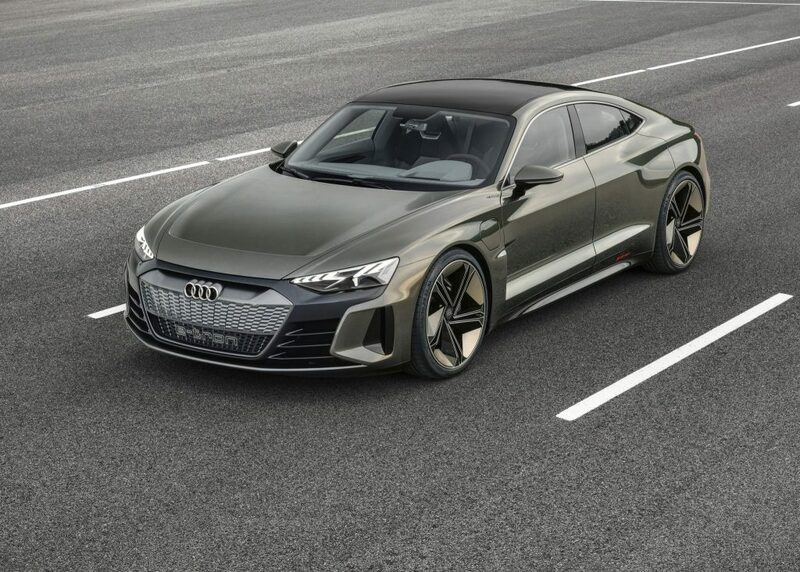 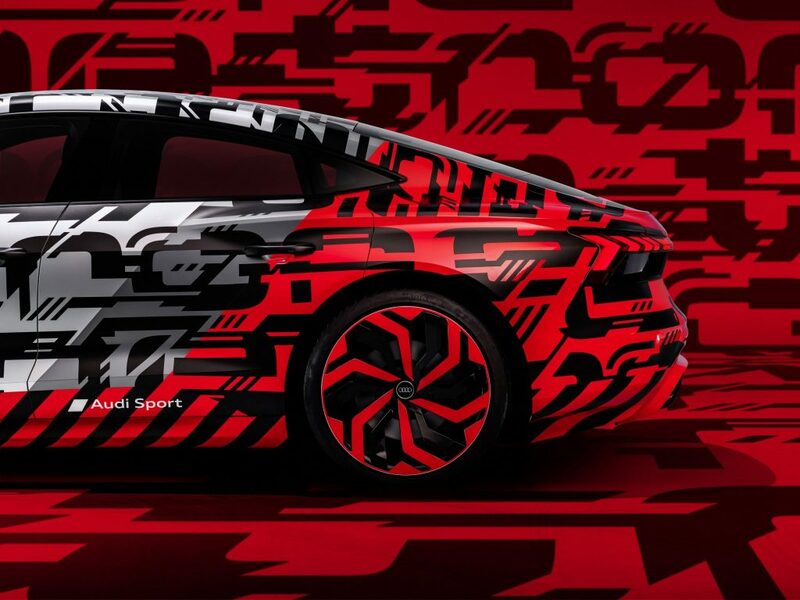 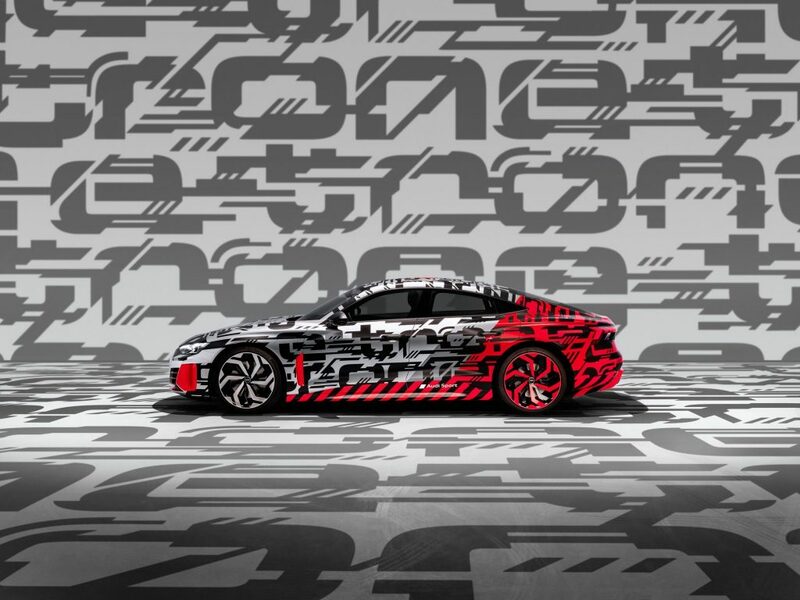 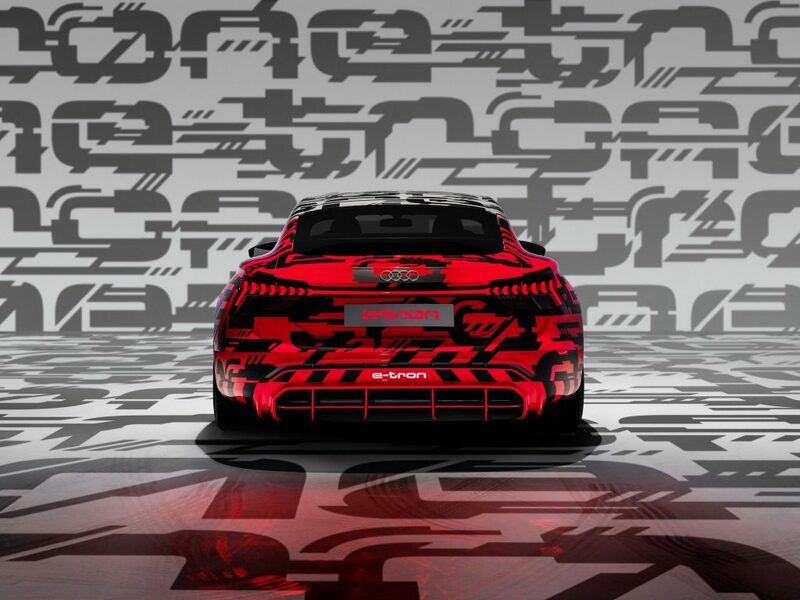 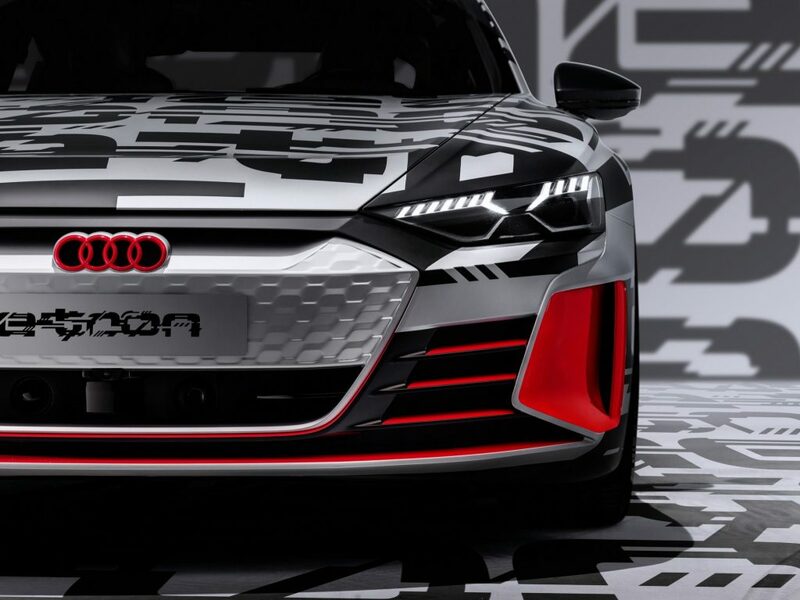 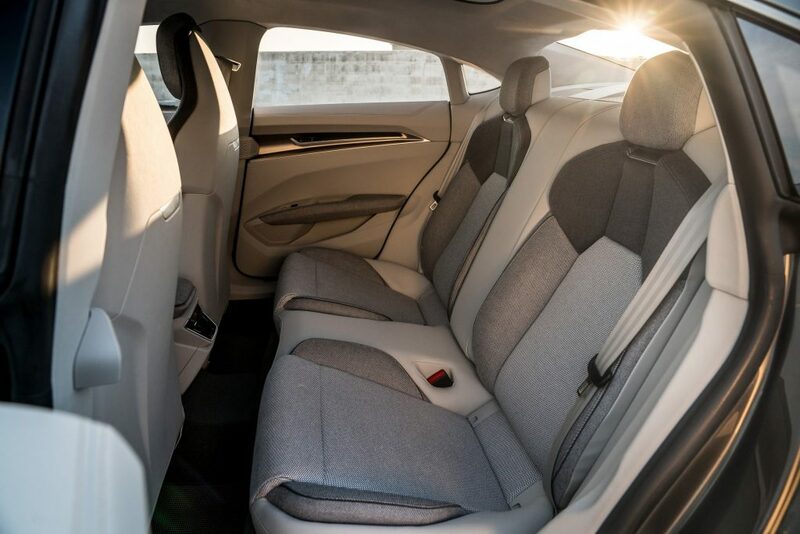 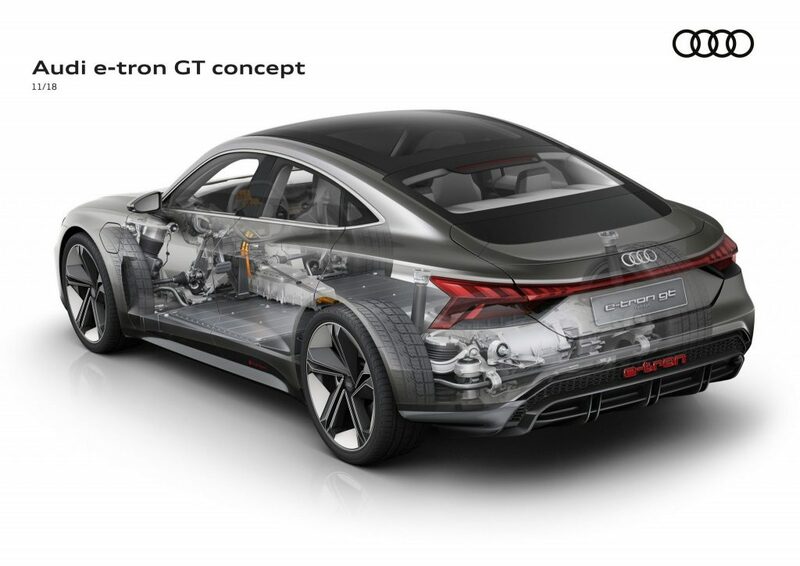 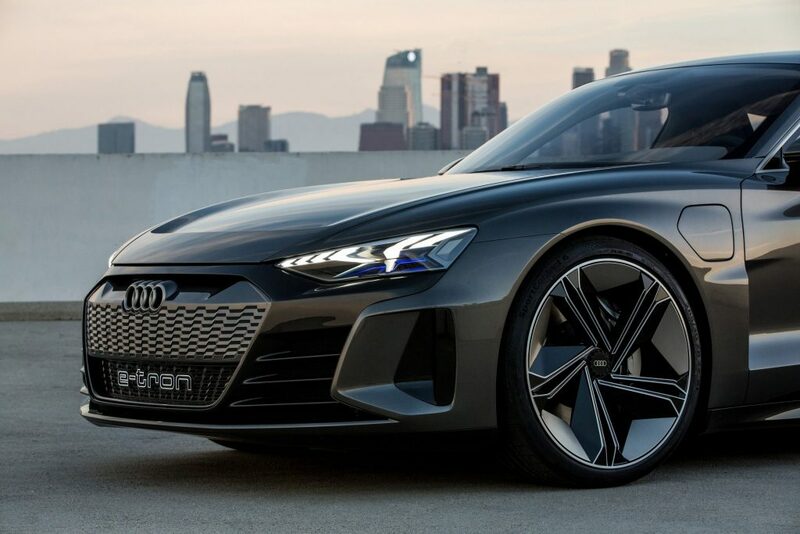 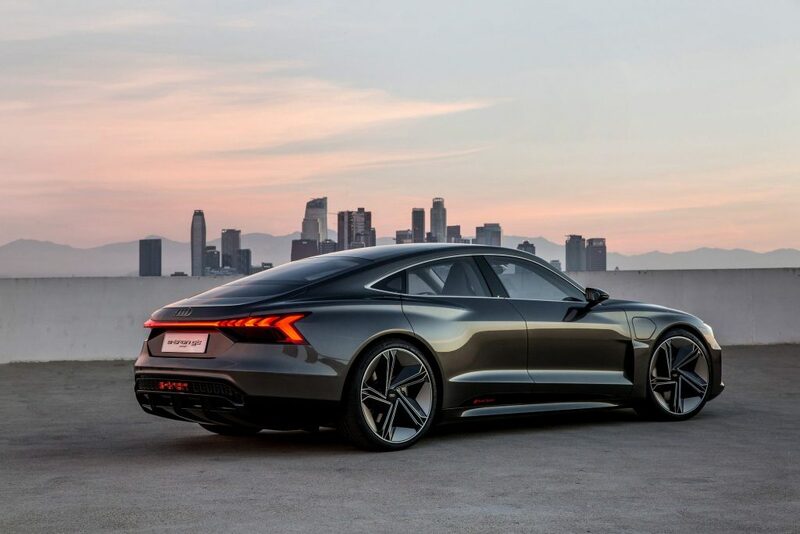 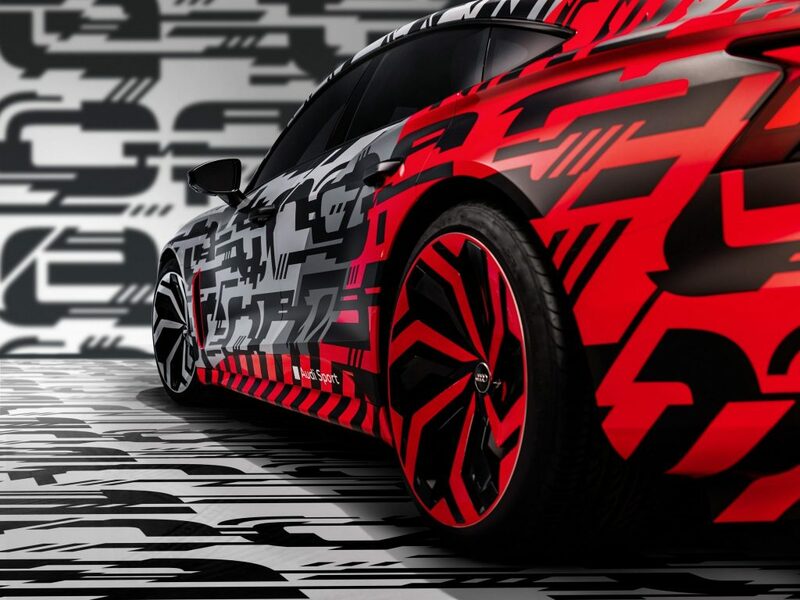 The e-tron GT concept can, however, also be recharged at charging points with lower voltages, providing the driver with access to the entire charging network.